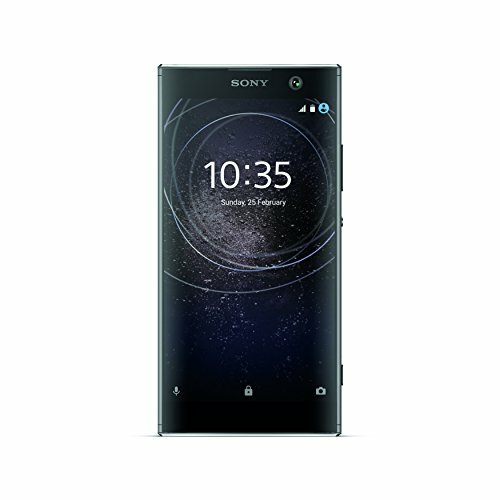 Sony has debuted new mid-range Xperia phones at CES 2018, the Xperia XA2 and Xperia XA2 Ultra plus the L2. The XA2’s key feature is its 23 megapixel camera, while there’s also a super-wide angle 8 megapixel front camera, too, above the 5.2-inch display. Both handsets run Android 8.0 Oreo. We had a play with the phone after Sony’s CES 2018 press conference at which it debuted several new TVs, wireless sports headphones and new Dolby Atmos soundbars, too. We know the XA2 will be coming to the UK as O2 has confirmed to us that it will be ranging the handset in silver across a range of tariffs. O2 Refresh prices at launch start from £28 per month for 500MB of data. The silver version is exclusive to O2, but the handset will also be available in at least black in the UK. SIM-free, expect the Sony XA2 price to be less than £300. The XA2 follows the familiar Sony Xperia design philosophy but doesn’t suffer for it; this is a fine mid-range phone. Anodised aluminium has been used for the sides – feels great in the hand – but the back is plastic. So the materials don’t feel as good as a flagship, but it’s a long way from a budget handset in terms of look and feel. Sony has also announced the handset in pink and blue, but we don’t yet know if those will come to the UK at all. That 23 megapixel rear camera packs Sony’s large 1/2.3-inch Exmor RSTM for mobile image sensor, with ISO 12800 sensitivity for low-light photography. 4K video recording is supported. A big focus for Sony Mobile has also been slow mo video recording so naturally you also can record 120fps on the XA2. Notably there’s also a fingerprint reader sited on the back - a different approach for Sony - and crucially it is separated from the camera lens. It’s an approach we like – we’ve been a fan of Huawei and Honor’s similar method, which we feel is better than Samsung’s approach to having the fingerprint reader right beside the camera lens in various models (it’s directly underneath the lens on the new Samsung A8 and A8+). The 5.2-inch display is Full HD, meaning 424 ppi. That’s pretty respectable. The screen is Corning Gorilla Glass, so should be fairly resistant to scratches from other stuff in your pocket. The rest of the specs are very respectable, powered by Qualcomm’s Snapdragon 630 (quick-charging of the 3,300mAh battery is supported), with 32GB of storage and 3GB of memory. It’s slightly on the heavy side at 171g. Naturally there's also USB-C charging. Notably there’s no water or dustproofing on this phone, something worth noting when comparing with other devices like the new Samsung A8 which does have water and dust resistance. The XA2 slots right into that sweet spot between premium and budget where you get an excellent set of specs and decent design. Most people won’t know that you don’t have a flagship phone, while the whopping 23 megapixel camera will ensure you’re able to take some really great pics. If you’re in the market for a mid-range phone, it’ll definitely be worth consideration. Check out some other great Android phones. as well as the rest of our coverage from CES 2018.